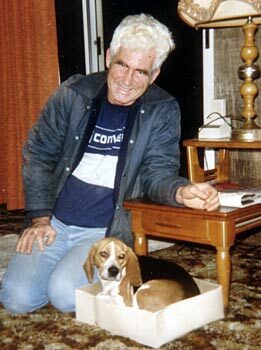 Our beloved husband, father, grandfather and friend, Ted Huth, passed away very suddenly on January 26th, 2004. He had just returned from an enjoyable two week Florida vacation with his wife, Angie. Ted was born on October 21, 1931 in the home where he and Angie lived. The home has been in the Huth family for generations. Together they raised five sons, and later were blessed with four grandchildren and two great-grandchildren. Ted and Angie enjoyed grandparent-hood. He was a life resident of Bolivar. In fact, you could say he was a town icon. You would be hard pressed to find someone in town who didn’t know Ted in some way or other. He graduated from Bolivar High School in 1949 and Bowling Green State University in 1956 with a Bachelor of Science degree in physical education. He was an U.S. Army veteran having served stateside during the Korean War as a Medic and Sergeant 1st class. He retired in 1993 from Fairless Schools where he taught physical education and health at Navarre Elementary. He also served as the head baseball coach at Fairless High and the junior high head basketball and football coach. He was the first paramedic licensed in Tuscarawas County. He was a licensed CPR instructor and probably taught almost everyone in Tuscarawas County how to perform CPR. Ted belonged to the Church of the Holy Trinity in Zoar. He was a member of the Bolivar American Legion and the Bolivar Fire and Rescue. 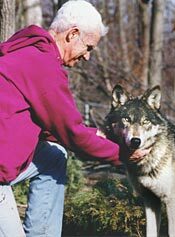 Ted was a former coach in the Bolivar Pony and Little League Baseball association and also a founding member and volunteer at Wolf Timbers. Everything that you just read about Dad could be found in the newspaper where they placed the notice of his passing. I am very proud of him, but not just because of what was printed. He was so much more then a column on the second page. 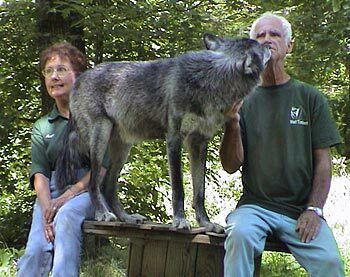 After Dad retired from teaching, he began spending much more of his free time helping out at Wolf Timbers. During the services, several of his former students and athletes stopped to pay their respects to him. They would smile and tell us stories about how Dad would give them detention, telling them he didn’t want to be alone while he was on detention duty. Dad also loved to tell jokes, and many still remembered them. One that I had never heard was “how do you put nine horses into ten stalls?” What a wonderful tribute to his life as a teacher and coach, to be remembered so fondly with smiles and jokes. There were so many different aspects to Dad’s life. 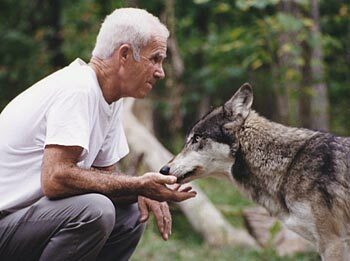 Wolf Timbers was only one of them, but he was always here to lend a helping hand anytime something needed done. Many times Dad would just “show up”, and it always seemed to be at the right moment. 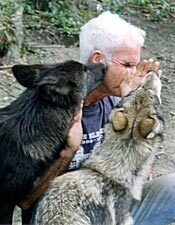 Maybe a deer needed picked up, or the wolves needed fed. He never hesitated to do any task, even the dirtiest ones. On Wolf Timbers’ open days, Dad was always here an hour early. The signs would be up and the gates would be open by the time the other volunteers arrived. 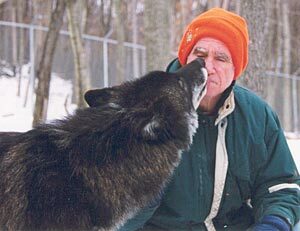 Many of you who have visited Wolf Timbers have met Dad, the tall, white haired gentleman with the quick laugh and big smile. He may have led you down the trail on a tour, or helped drive you up the lane if you couldn’t walk. 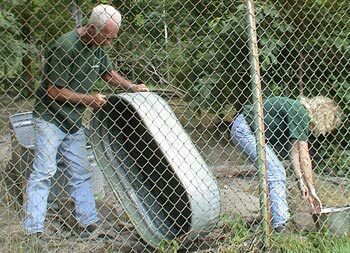 You may have noticed him emptying a water trough or filling his bucket, marked “Grandpa Ted”, with stinky parts from the wolves’ enclosure. 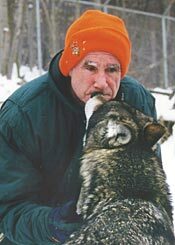 Dad thoroughly enjoyed the wolves and had a special relationship with each one. He would laugh when they would all try and face greet him at the same time. 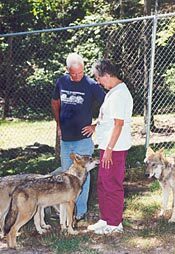 Dad was an enormous part of the Wolf Timbers family. The volunteers looked to him as a friend and father figure. He treated each volunteer with respect and kindness, encouraging them, teasing with them or lending them a shoulder to lean on when one was needed. They all wanted to have Dad work with them on their crew. Not enough has been said about how special Dad was to all of us; there isn’t enough room here to do that. This has been so hard to write through the tears. Tears of sorrow and of laughter.There are so many wonderful stories, so many great memories. The truth is, a man like Dad is rare, and we were blessed that he was ours. And someday Dad, I want you to tell me how to fit nine horses into ten stalls. I only wish you were here to tell me now. We love you, Dad. It was our joy to have you with us while we could. I thought I saw you walking up the lane today. It looked like a dog was walking there beside you. of the sun upon your face. and it ruffled through your hair as you walked along. I thought I heard you humming a little tune as you went by. You looked so peaceful that I didn’t want to disturb you there. Even though I wanted to go and walk with you, I would have to wait. For perhaps another day or another time and place. a dog was there beside you. You had a smile upon your face.